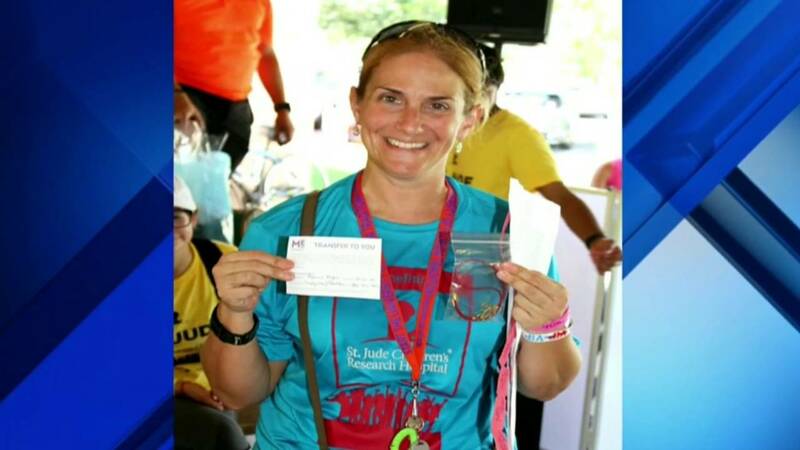 DAVIE, Fla. - The driver who crashed into a pack of cyclists -- killing one woman and seriously injuring a man -- issued a tearful apology Monday, saying that if she could trade places with the victim, she would. Police said Nicole Vanderweit, 33, crashed her 2012 Honda Fit into a group of about 14 bike riders along State Road 84 in Davie around 8:30 a.m. Sunday. Police said Vanderweit was distracted by something inside her car while the sun shined directly into her line of sight. Denise Marsh, 53, was killed and 62-year-old Carlos Rodriguez was critically injured. Three other bike riders were hospitalized, and two of them were released Monday. Vanderweit did not want to be interviewed on camera, but she gave a statement to Local 10 News. "I am truly sorry that any of my actions led to the tragic events yesterday. My wholehearted condolence to Denise Marsh and her family. No words can express how sorry I am about your loss," she said. "Please know that if I could trade places with Mrs. Marsh, I would." Police said Vanderweit wasn't using her phone at the time of the crash and she was cooperating with investigators. She handed over her mobile phone to detectives, police said. Denise Marsh was passonate about cycling, her son said. Christopher Marsh, the victim's son, told Local 10's Andrew Perez that he hadn't believed it was real when he was told his mother had died. He remembered his mother as a loving and generous woman who was passionate about cycling. "The way that she expressed her love for others was through giving," Christopher Marsh said. "She would drop everything she was doing. She would inconvenience herself to the full extent just to help other people." "They get together on the weekends and travel together. In the area, there is not a designated bike lane; it’s a share-the-road situation," said Mark Leone, a spokesman for the Davie Police Department. After his mother's death, Christoper Marsh urged drivers to avoid distractions on the road. "I think it's without a doubt that this occurred because of some impairment of focus with driving," he said. "I try to hold to those principles and not text and drive and everything, as well. It could really save a life."